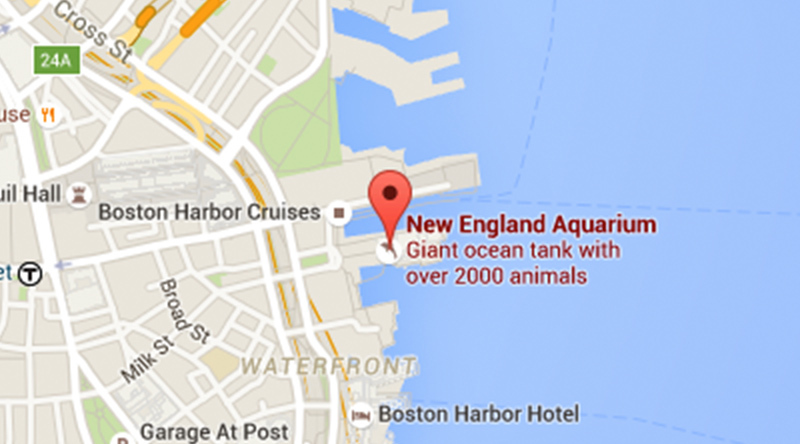 The blue planet is way bluer after Boston’s blue icons met for the first time today. 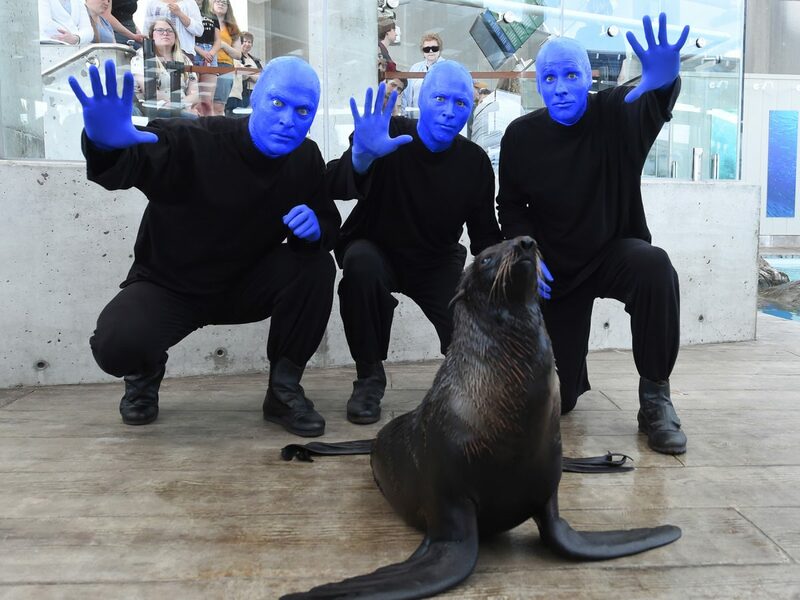 The Aquarium—known for Protecting the Blue Planet—invited the Blue Man Group to come explore the blue planet with us. 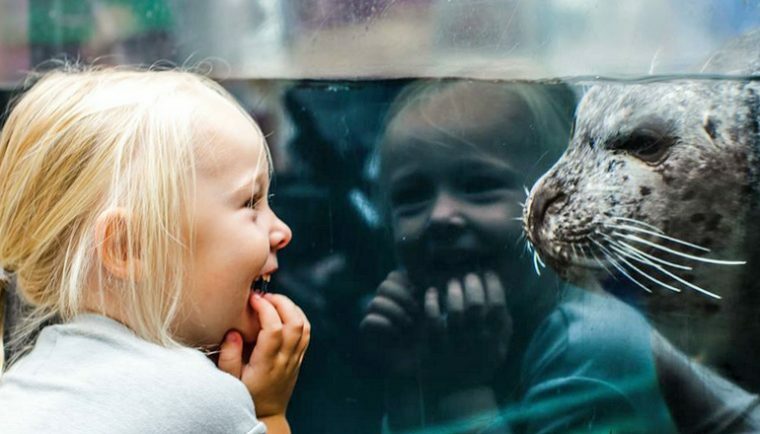 Ursula the northern fur seal was the furry tour guide! 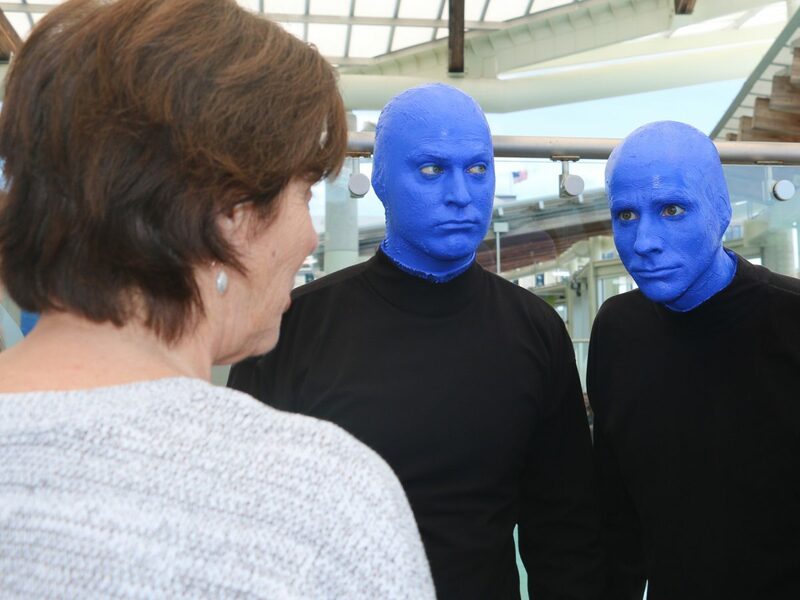 The Blue Men arrived at the New Balance Foundation Marine Mammal Center with their expressive eyes and signature blue heads. 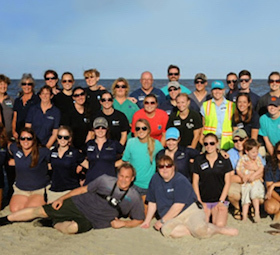 They got up close with Ursula, who was not fazed by these silent celebrities. 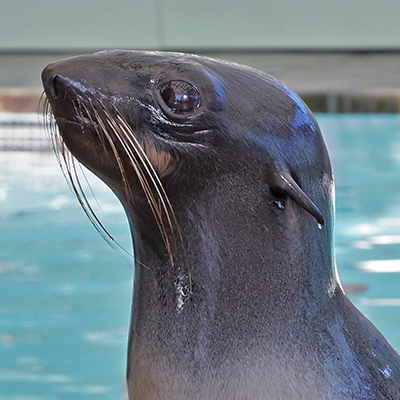 Fur seals, with the second thickest fur in the world, are often called skinny seals for their lack of blubber. 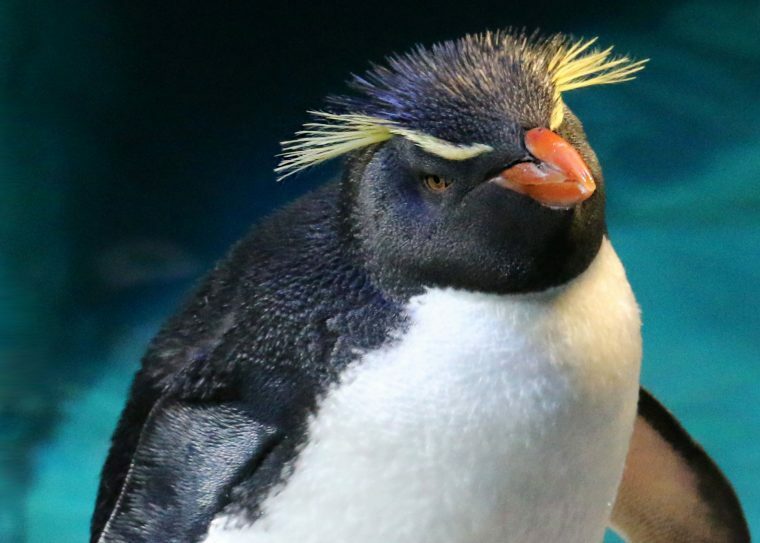 They also have extra-large eyes for fishing in deep, dark waters. 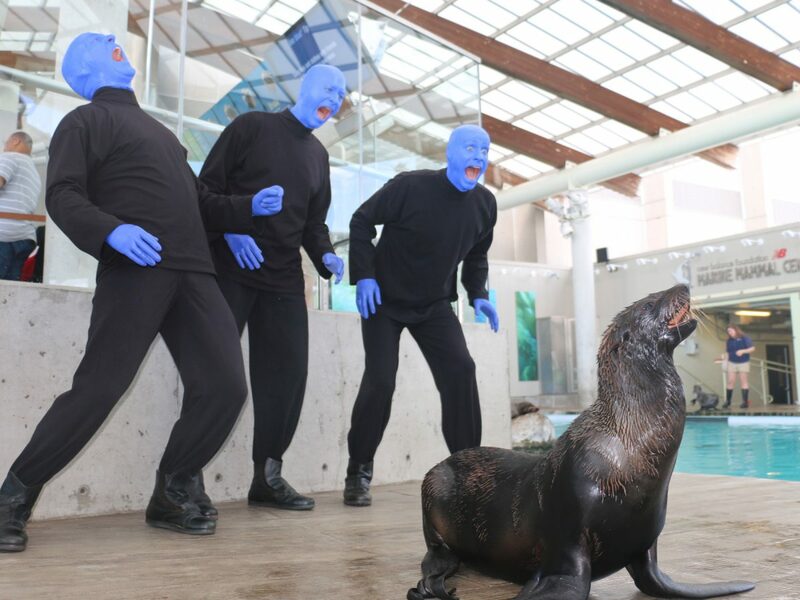 Ursula knows about 40 behaviors and is known for being quiet yet brilliant—just like the Blue Men! Here are some pictures from this morning’s meetup. 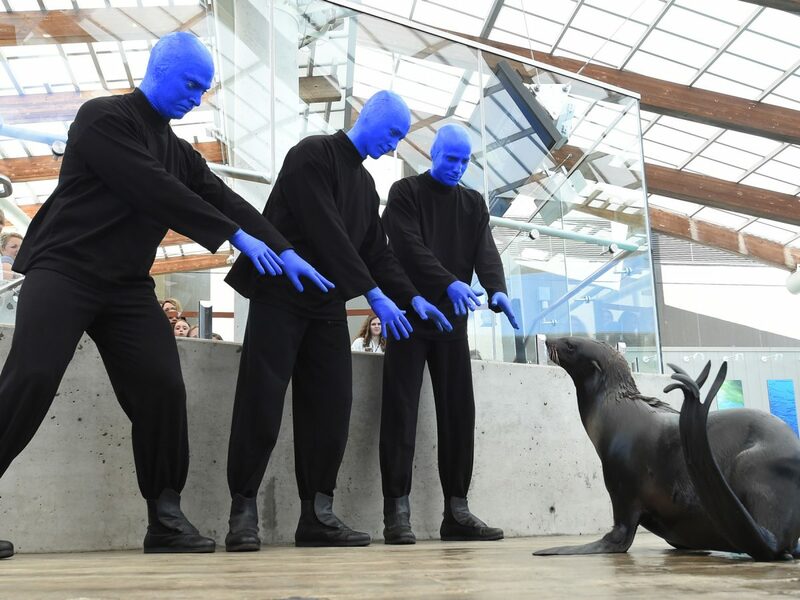 Curator of Marine Mammals Kathy Streeter teaches the Blue Men a bit about fur seals. 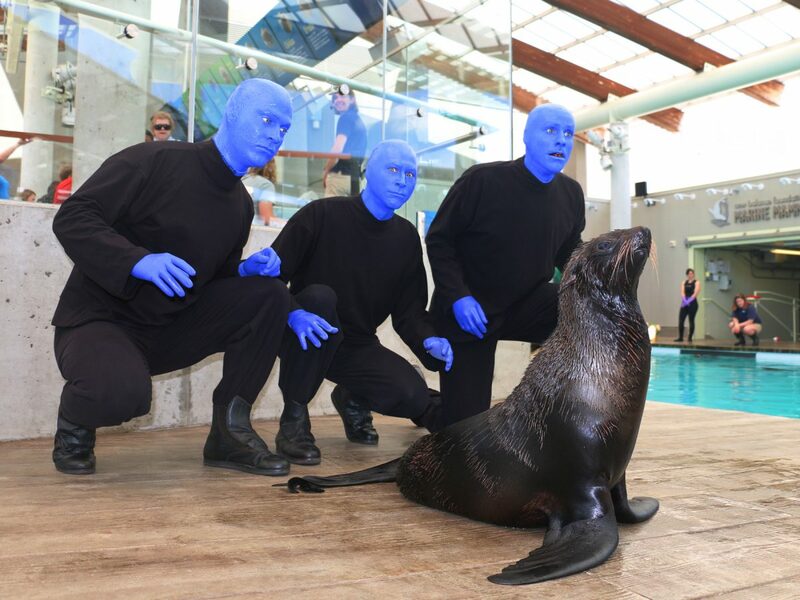 The Blue Men get up close and personal with Ursula the northern fur seal. But let's see how wide you can open your mouths. 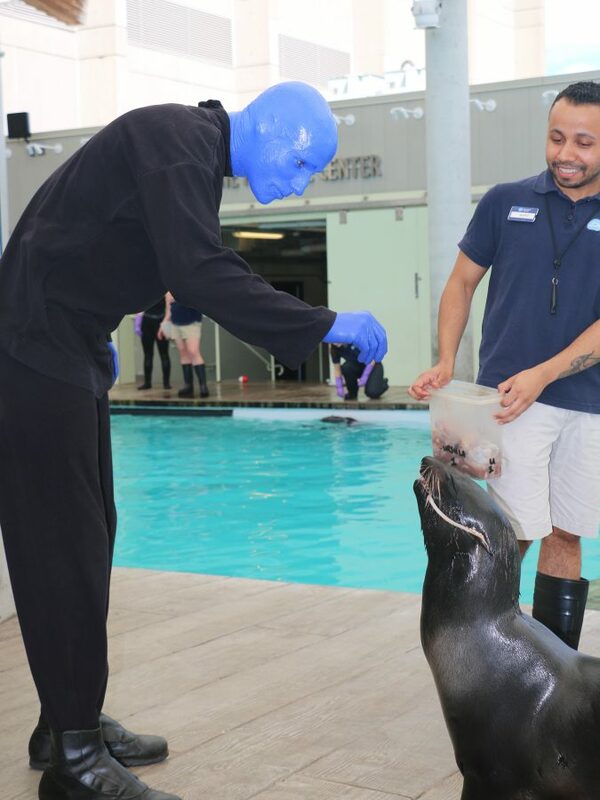 Trainer Mario Mosso helps a Blue Man feed Ursula. 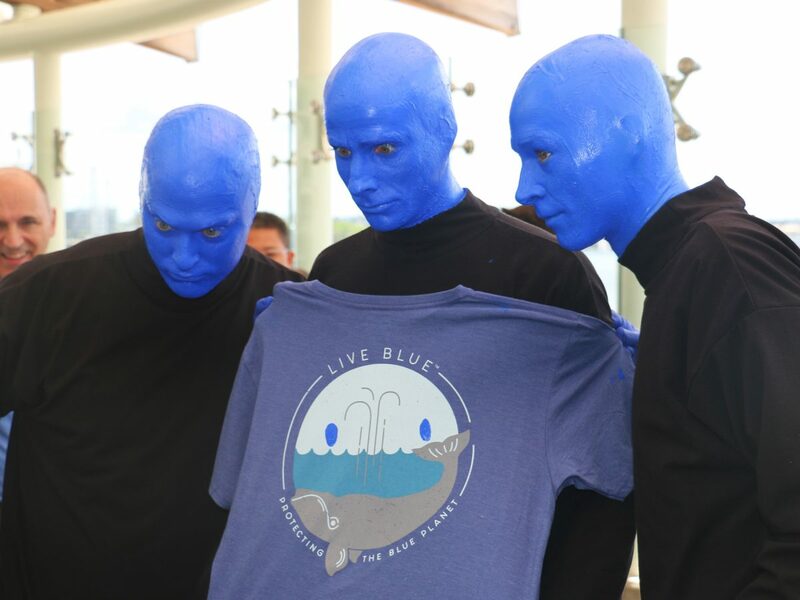 A parting gift: A live blue™ T-shirt from the Aquarium!